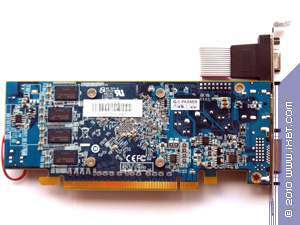 It's not a secret that when gaming graphics cards are mentioned, many people imagine top-end products capable of producing playable frame rates at the highest settings, antialiasing and anisotropic filtering included. Such graphics cards demonstrate nice price/performance ratios these days. But what about products that are very cheap and not very powerful in terms of 3D graphics? 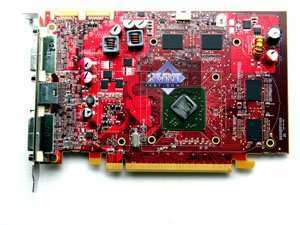 Such graphics cards support the same technologies and innovations, but cannot provide the same high performance, forcing users to decrease monitor resolutions as well as in-game graphics settings. In February we reviewed the inexpensive ATI RADEON HD 5670 graphics card. 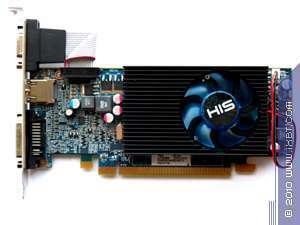 Today, we shall review an even weaker solution -- ATI RADEON HD 5570 (on the example of a product made by HIS) -- that differs from RADEON HD 5670 by having lower clock rates, the reduced number of TMUs and ROPs. 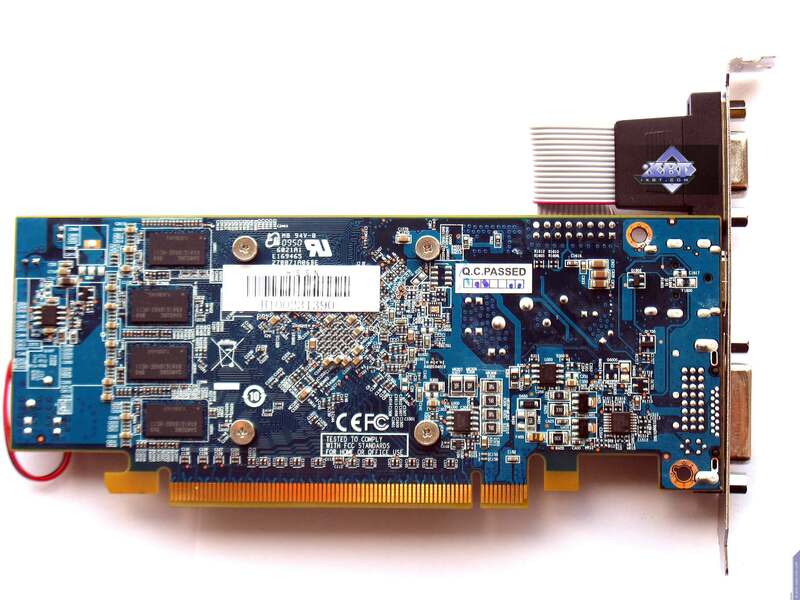 It also comes with cheaper GDDR3 memory. Of course, the lower the price is, the lower the 3D performance is. People usually purchase $60-$70 graphics cards to watch movies, to browse the Internet, type texts, etc. Just so there is something that will produce an image on a monitor. The selection of games in this case is quite limited. Since our test method for low-end products is not ready yet, we shall use the standard one based on maximum image quality benchmarks and resolutions of 1280x1024 and higher. Naturally, the 1280x1024 display resolution is the only one that can enable ATI RADEON HD 5570 to produce some playable frame rates. Other resolutions are provided just for the fun of the thing. 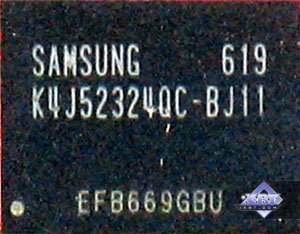 1024MB GDDR3 SDRAM in 8 Samsung chips on both sides of the PCB. Peak clock rate 900 (1800) MHz. 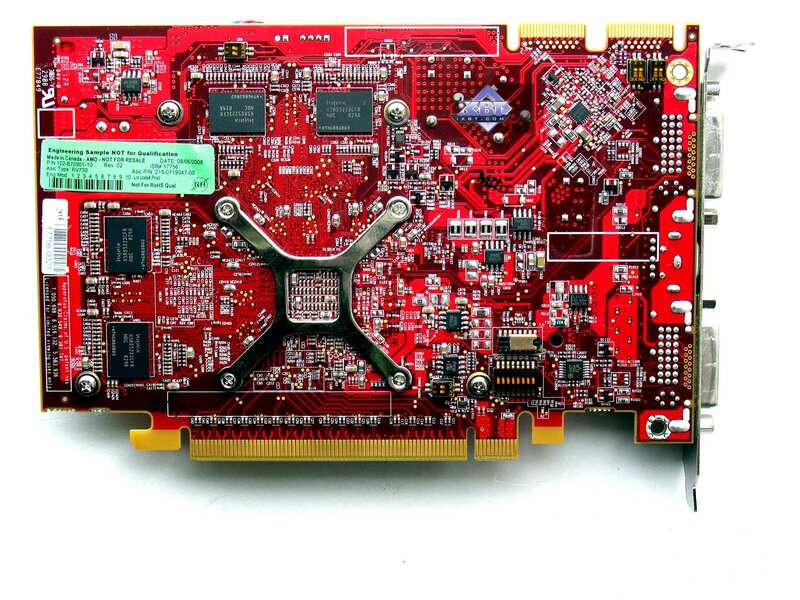 As you can see, the graphics card has a low-profile design. 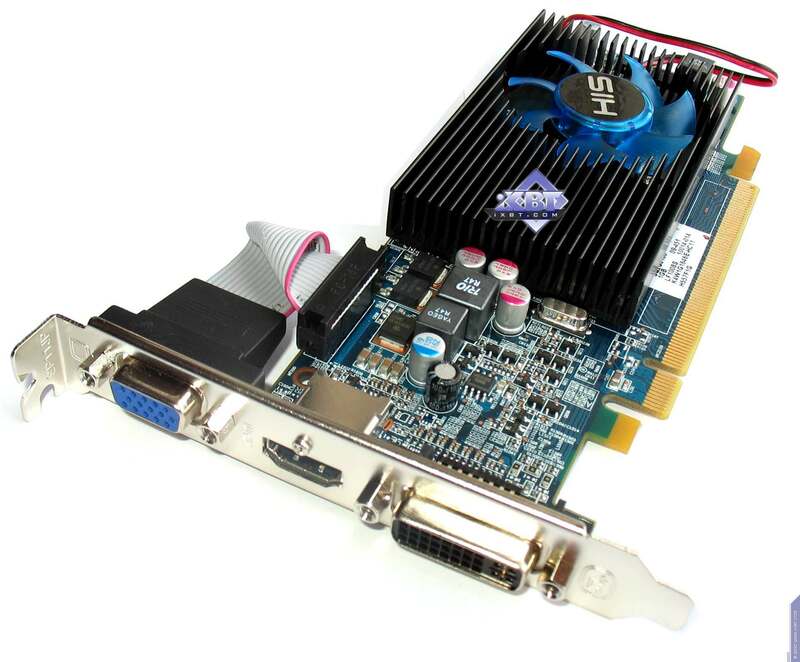 The VGA (d-Sub) part is detachable, and HD 5570 is bundled with special low-profile brackets. 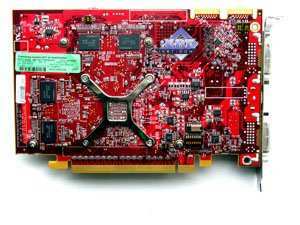 Image © Hightech Information System, Ltd.
Also note that such graphics cards do not require additional power.